The cool exterior Ford Transit Connect diesel van is the choice of many in the United Kingdom because of the fuel economy in particular. The reconditioned Ford Transit diesel van engines are also preferred by the van drivers due to their fuel average and performance repute. You can buy one of two wheelbase options. 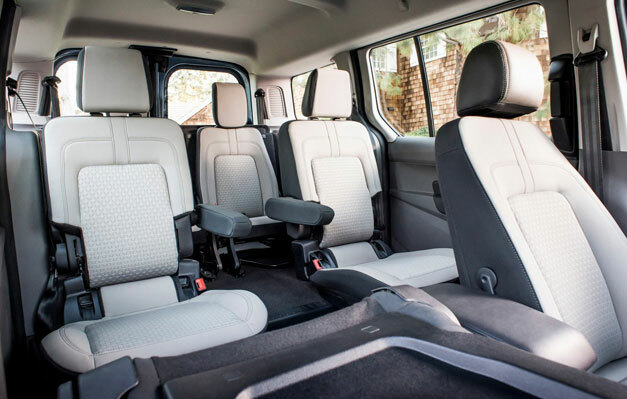 The smaller offers five seats and the long wheelbase has seven seats so this selection very much depends on the size of family or objective of owning this van. Sliding doors on both sides offer you maximum ease to load cargo or get people in the cabin. Wi-Fi has also included in the interior features and Amazon Alexa compatibility is also part of this list. Eco-Blue 1.8 litres transit connect diesel engine is under the hood which manages to offer 30mpg fuel economy when running on a highway and surely this could not be achieved while moving on congested roads. The gasoline engine of 2.0 litre is a four-cylinder unit but it can enhance your running cost. Eight-speed transmissions functioning automatically are standard for both types of engines. The automatic gearbox gives you more time to focus on driving it with greater attention. Trailer tow package can be added and without it, the load carrying capacity is 2000 pounds. There are many electronic features to give driver assistance while driving. Emergency braking works automatically, pre-collision assistance to avoid the accidents and adaptive cruise control is some of them. The good thing about it is that the van looks appealing and can be replaced SUV in your porch. 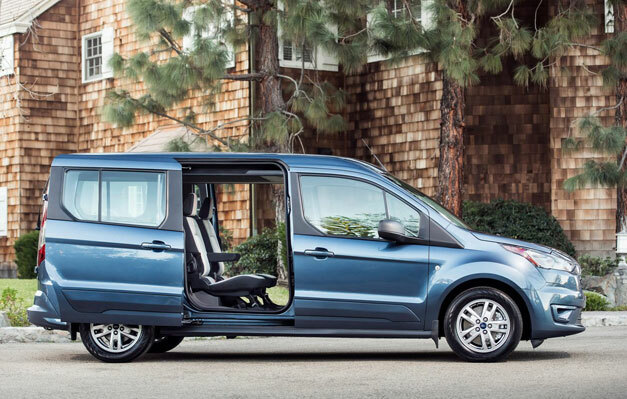 The van has been sold by Ford Transit not only in Europe but a good number in the United States too. Auto stop and start is also a feature which contributes to increasing fuel efficiency and it is very much present throughout the range. The latest model is due in the fall of the current year so not all the details are available right now to be shared with the readers.If you need more advanced features, such as adding a towbar that can pull more than 3000 pounds, you can find them externally on different websites. The exterior has been revamped for the models of the vans in the coming version. At front hexagonal grille is very prominent and it is seen in all new cars of the company too. The van is now more appealing in appearance than ever before and ready to meet the contemporary demand of modernity in the exterior. It is not altogether changed but deft changes have made it fresh. 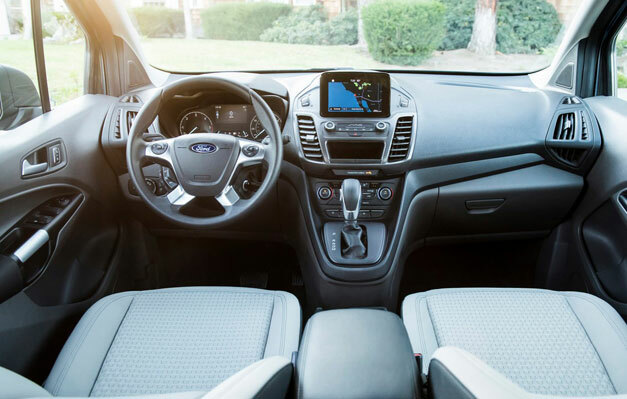 The cabin has received alterations too and you get a six and a half inches touch screen in the middle and the infotainment system is taken from the latest model cars of the company. The improvements have been made to present this van as an alternative to the SUVs which are very much focused now a day. Driver assist system is also new with optional upgrade to include lane keeping assistance and blind spot monitoring to avoid any possible mishap. The Wi-Fi hotspot can support ten devices as 4G LTE modem is there. Price of the new vans has not yet been announced but like last year the price was well under thirty thousand dollars and the loaded Titanium cost you just thirty-two thousand dollars. While other vans are far expensive than these vehicles so with new modifications the chances of the higher number of unit sales is rightly expected. The cabin is flexible with seat folding options and it is appreciated by most of the buyers. Access has been made easier as sliding doors on the two sides and tailgate can be lifted with greater ease. The van still has to wait to see its real potential as the present trend of crossovers and SUVs is not over yet. But the changes have been made by Ford cannot be ignored that easily so after the release of the new model in the market the actual situation will unfold. Robert Harrison contributes regularly to Car Engines Blog. He claims to be crazy about cars.